Jim: Have you ever yelled at your child out of complete frustration, then felt horrible guilt about it later? I doubt there are many parents who have not felt this way before. Click here to read an interesting article in the New York Times about parents and yelling: For Some Parents, Shouting is the New Spanking. Kara: Halloween is this Saturday! Do you actually know why we celebrate Halloween? Click here to read all about the history of the spooky holiday and the traditions we participate in every year. Ashley: Have your children heard about the Phantom Ghost? Click here to find out about this ring, leave a treat, and run Halloween tradition! 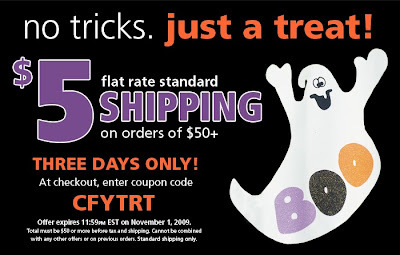 Receive $5.00 Standard Shipping for 3 Days only on any purchase of $50 or more! Just enter code CFYTRT in the coupon code box during checkout. Hurry, offer expires 11/1/09. 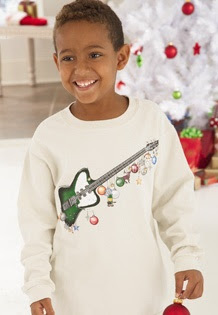 You are sure to find a Holiday Tee that your little guy will dig at CWDkids! Whatever suits his fancy--tie-dye, music, skulls, dogs, sports, and more....you'll find the perfect long sleeve tee right here, all designed with a Christmas twist that can be worn all season long. Checkout all CWDkids Boy's Holiday Tee's Here! Don't worry, we didn't forget that girl's like t-shirts too! Shop Girl's Holiday Tee's Here! 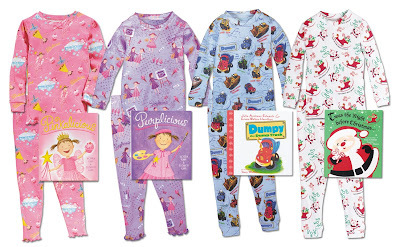 30% Off Books To Bed book and pajama sets! My children LOVE Halloween. Each year, they have a big contest to see which child collects the most candy. They sort their candy by brand and type and trade their siblings for their favorite varieties of candy. This is all great fun; however, as they have gotten older, they are bringing home a LOT of candy. My youngest child will eat the candy all day long. He is already the king of cavities and this year after a few too many trips to the dentist, I know that I must get the tooth decaying sweets out of my house quickly! I have scoured the Internet looking for ideas of what to do with my children’s Halloween candy. I found that some parents recommend taking the candy to a nursing home, food pantry, or to the office. Many swap the candy for a small gift. Candy can also be saved to use on a holiday gingerbread house. The delish.com blog has come up with some great dessert recipes that put your extra Halloween candy to work. Do you have any special ideas on how to empty your children’s Halloween bag quickly? We would love to hear from you! 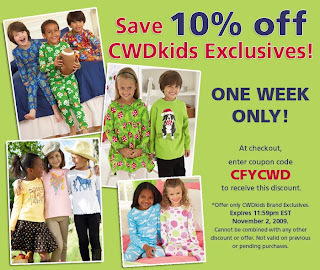 10% Off CWDkids Brand Exclusives! 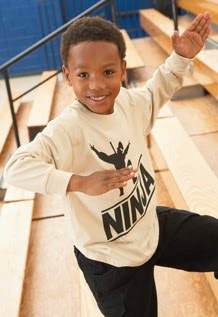 Save 10% on ANY CWDkids Brand Exclusives for a Limited Time Only! Enter code CFYCWD in the coupon code box at checkout. Hurry, offer expires 11:59pm EST 11/02/09! Kara: Transform your friends, family, and even your pets into monsters! 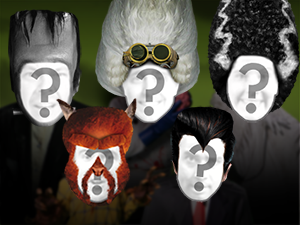 My brother sent me the Monster Mash e-card this week from JibJab.com-- it was hilarious! If you remember the "Elf Yourself" video from last Christmas, it's along those lines, but Halloween themed. Just upload some photos and send to your friends and family. It's fun and FREE! Ashley: I found this terrific list of simple family pleasures on the Zen Family Habits blog. From camping in your backyard to thumb wrestling, you will find some clever ideas to start your weekend with a bang! Tracy: You may have already heard of the Cactus Cuties, but I had not until I saw this video on YouTube. Wow, I am definitely a fan now! Watch this video of the group singing the National Anthem and I promise, you will be blown away! How do you get your children in the Halloween spirit? I just read a great idea on the Design Mom blog. Design Mom lights candles and reads Halloween books or tells spooky stories to her children each night in October. What fun is that! I like to add a new holiday book each year to my shelf. This year, I am going to buy the Geronimo Stilton book, It’s Halloween, You ‘Fraidy Mouse! My seven-year-old son has gone crazy over the Geronimo Stilton series. The books are about a spunky mouse and his adventures. The books are very funny with colorful and unique artwork and page design. These are the first chapter books that my son runs home from school to read. He and his eleven-year-old sister find the stories funny and highly entertaining. Click here for more details. Thanks to Design Mom, I have gotten out my Halloween books and put them in a basket in my living room to read one each night by candlelight to my kids. 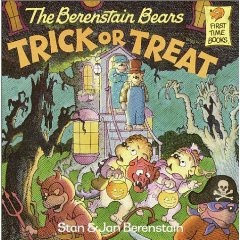 Tonight’s reading is an all-time favorite, The Berenstein Bears Trick or Treat! I know my kids are going to love this new tradition. Let us know if you have a favorite Halloween book. We’d love to hear from you! This cute-as-a-button 4-year-old wants to be a firefighter when she grows up! 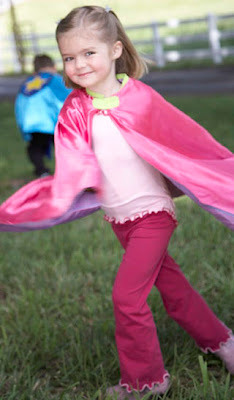 Avrie was thrilled to put on this pink superhero cape! Plus, She loved the pink outfit, including the pink cowgirl boots, we gave her to wear underneath. Sounds like Avrie needs our Pinkalicious PJ & Book Set and Pinkalicious Tee! Glittering metallics and sequins--it's all the rage this holiday season! Girl's will love to sparkle and shine in pretty dresses and accessories. CWDkids carries several fashion-forward ensembles for trendy girls this season, perfect for holiday parties and family gatherings. Don't forget to accessorize with matching headbands, tights, and shoes! It's not too early to order to make sure you get the sizes you need. See our "sparkle" collection for girls here! See all girls holiday here. See all boys holiday here. Today, the highly anticipated movie, Where The Wild Things Are, opens in theatres. This wonderful book has always been a favorite at my house. Written by Maurice Sendak in 1963, Where The Wild Things Are stands the test of time with Sendak's descriptive words and amazing artwork, and truly illustrates the incredible power of a child’s imagination. If your children have not had the opportunity to read this book, click here to see and listen to an engaging reading of the book complete with sound effects. We are so excited to carry two super cute and comfortable tee shirts by Junk Food with designs taken directly from Where The Wild Things Are. Click here to take a closer look at these t-shirts*, and while you are there, check out all of our superhero and movie themed tee's by Junk Food! *Some sizes will not be available until 11/6/09, but you may still place the order now. You will be charged for the item once it ships. 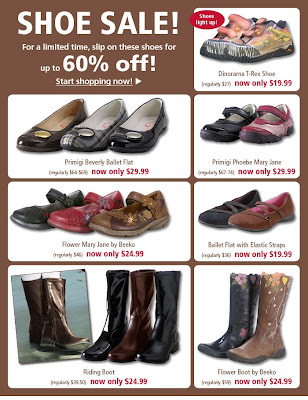 Save up to 60% Off select fashionable footwear for kids! Take a peek here and order today! Check out these great deals--TODAY ONLY! Say Cheese In Matching Christmas PJ's! Matching holiday pajamas for boys and girls are perfect for Christmas morning photo ops! Our pj's are so cute, no one will notice the bed head or puffy eyes! 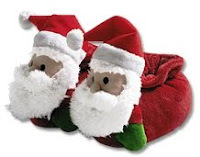 Your kids will want to wear these comfy cotton gowns, long johns, sleepwear sets, and Santa slippers all season long. Just make sure you order early, our holiday pajamas are so popular they fly off the shelves quickly! View our entire family Holiday Pajama collection here. 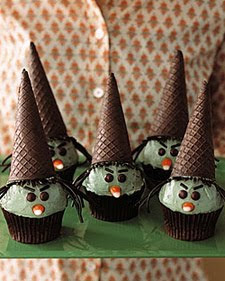 I think these are the cutest witch cupcakes! They were created by Martha Stewart and are very easy to make. Just click here to find the recipe. Your creation will be the hit of any Halloween party at school or your house! Martha Stewart has lots of great ideas to help your family get into the spooky spirit. 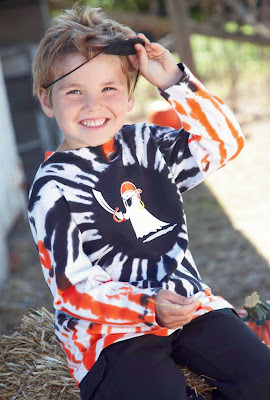 We also have LOTS of Halloween-inspired clothing to get your child ready for the big day! Our Halloween clothing is on sale, up to 50% off! Click here to take a look. October is a terrific month to host a pumpkin-carving party. Real Simple magazine has done all the work for you by putting together a terrific pumpkin-carving party with great ideas for you to use! Click here to find a spooky music playlist and delicious menu suggestions. I know my children would LOVE the easy caramel apples! For Martha Stewart's tips on how to carve a pumpkin, click here. I just found out that if you put Vaseline on the carved part of the pumpkin it will not turn brown. Of course, if you need something for your kids to wear, we have adorable clothing on sale to dress your little ghost or witch--but hurry, you need to order now for Halloween! 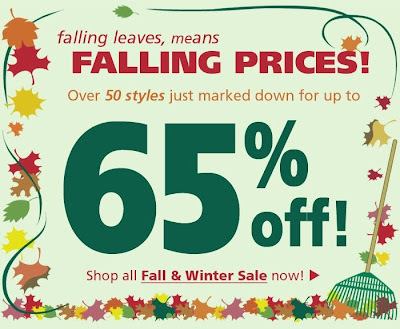 Hundreds of Fall styles for Boy's and Girl's now on sale, up to 65% Off! Ashley: As a parent, I have found over the years that the "keep it simple" philosophy works for my family, particularly for my 13 year old boy who seems to have selective hearing and likes to answer me with one syllable grunts. 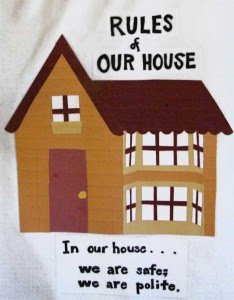 I found a terrific idea on the Sophistimom blog for house rules that will work for my whole family: Be Safe and Be Polite. What more do you need to say? I have posted the rules on the refrigerator.....can't wait to see how it works! Kara: If you are like me, you love to follow the fashion of First Lady, Michelle Obama. Check out www.Mrs-O.com for up-to-date photos of this budding style icon and information about what, and who she is wearing! Tracy: It's apple season! Check out this great idea for an apple taste test on the Eensies blog. You can sneak some healthy fruit into your children's diet and teach them math at the same time! Click here to find out to set up an apple taste test at your house. Save 10% on Sara's Prints! 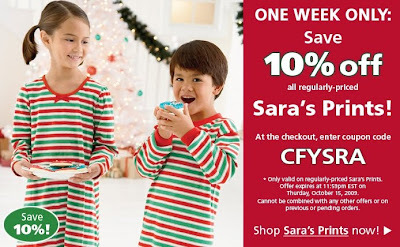 Save 10% on Regular Priced Sara's Prints for one week! Just enter code CFYSRA in the coupon code box during checkout. Hurry, offer expires 11:59pm EST Oct. 15, 2009! What Girls (and Moms) Want! As a mother of a tween girl who loves fashion, I know first-hand how difficult it is to dress your daughter. 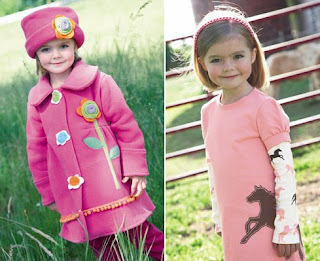 It can be a constant battle to get your little fashionista in clothes you both like. 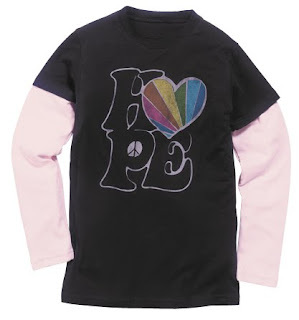 I have found that CWDkids has some wonderful options for girls. My eleven-year-old daughter LOVES anything made by the Pink Ginger and Plum Pudding brands. 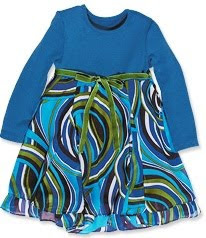 The outfits are colorful and usually come with leggings and headbands to complete the outfit. Accessories always make the outfit according to an eleven-year-old girl! Many of the Pink Ginger and Plum Pudding tunics and dresses are made out of a polyester and spandex blend. I have been amazed at how well the clothes wash and maintain their bright color and quality. My daughter has worn the outfit that you see above many times. She even wore it to the Taylor Swift concert that she went to this summer. You know it is special! Click here and here to see our entire line of Plum Pudding and Pink Ginger. I think you and your daughter will like what you see! Take your Pick--Big/Little Brother & Sister Tee's are Wednesday's Deal of the Day. Let your children proudly tell the world their place in your family! This offer will expire 11:59pm EST October 7, 2009. "Hoo" Is Ready For Fall? Girls are all set for Fall in these adorable coordinating ensembles! Whether it's sisters, best friends, or cousins, your little sweeties will look picture perfect in CWDkids exclusive Owl Outfits. So get the camera ready--autumn leaves and a pudgy perched owl will make apple picking all the more fun! This cutie is 5 years old and started kindergarten in the fall. He has what we like to call a "perma-grin;" Cruise is ALWAYS smiling! Besides modeling, Cruise is also involved in motocross competitions. Want what Cruise is wearing? Shop our Snow Tiger Tee. 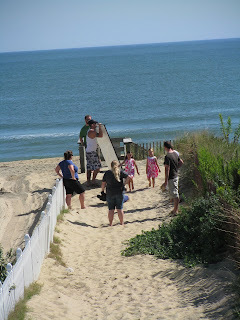 Attending a photo shoot is not generally on my list of tasks, but a few weeks ago I was given the opportunity to volunteer at our most recent shoot in Sandbridge, VA. My job was signing the models in and out and giving the children the outfits they were scheduled to wear that day. Compared to what my typical day is like as CWDkids CFO, this was a very fun and easy job! 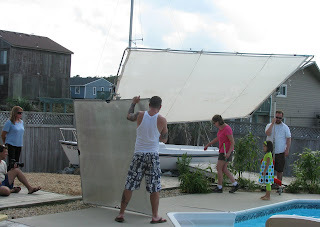 The creative team are the ones who handle of the real work including prop/set coordination and keeping the kids focused and smiling, among a multitude of other tasks. It was really a lot of fun to exprerience the entire process. I took several pictures of the action behind the scenes, and met a lot of sweet children with their parents. Some were "seasoned pros" while others were modeling for the very first time. It was a real joy to watch these first-timers come out of their shells and shine for the camera. Before this experience, I had no real idea of what was going on behind the camera. Now I know it takes a lot of work to capture our models in just the right pose...there's Cathrine, Chris, and Brad blowing bubbles and making faces to get the models to smile, and our photographer Troy gently prompting them to give him just the right look. It is a real art. I was very impressed with the whole process and had a really fun time. If I'm ever given the chance, I would love to help out again! Ashley: At my house, we LOVE Halloween! 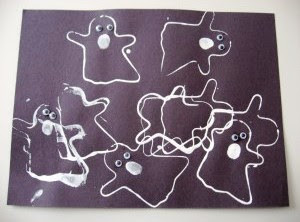 I found this spooky, and simple, art project on the No Time for Flashcards blog. Click here to see how to create this ghoulish masterpiece at your house this weekend. Tracy: I hope that all parents will get a kick out of this schools answering machine message....I know I did! I am sure that any teachers reading this can relate! Kara: A friend forwarded me a link to You'veGotSupper.com. If you sign-up on their site, each week you will receive 5 easy to make and yummy recipes delivered directly to your inbox. Just check the recipes you want to make and hit print for a recipe card and organized shopping list. The recipes are always simple and quick and will spark new and interesting ideas for dinner! 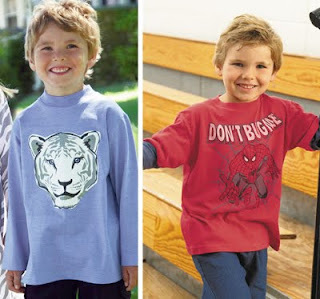 CWDkids Customers Love Made In The USA! 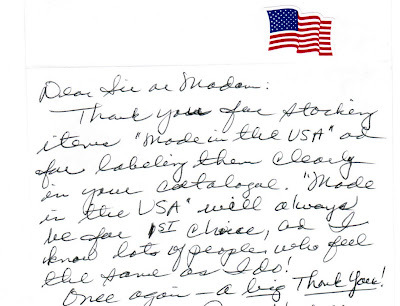 We were thrilled to receive this hand-written note in the mail from a customer thanking us for our line of Made in the USA merchandise, and for clearly marking these items in our catalogs. This is not the first time that a customer has voiced their appreciation that we carry such a large line of items made right here in the USA and we want you all to know that we take pride in doing so! If you are shopping online, you will see "Made in the USA" on the product page beneath the item description. To browse our Made in the USA line, click Here!